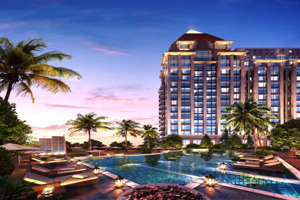 A convention centre and hotel in Hong Kong's Discovery Bay will be named the Auberge Discovery Bay Hong Kong and is scheduled to open on Lantau Island in Hong Kong in late 2012. The 325-room property, developed by HKR International, is located midway between Hong Kong International Airport and the Central district, and will offer 1300 sqm of meeting space, including a 700 sqm pillar-free ballroom. Numerous team-building activities will be available nearby, including a 27-hole golf course, hiking trails and the Ngong Ping 360 theme park.